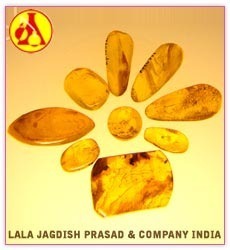 Amber absolute is prepared by destructive distillation of resin of the amber wood. 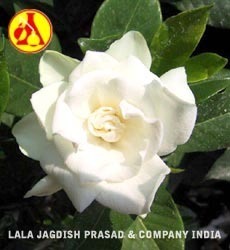 These absolutes are excellent for various aromatherapy and perfumery uses. Our authentic Amber Absolute are completely free from artificial ingredients, petroleum by-products, or mineral base. 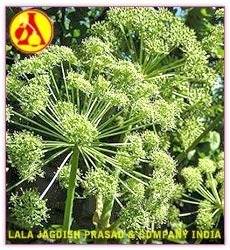 Angelica Root Absolute Oil, Angelica archangelica, The root oil is rich and earthy with an herbaceous top note. The Angelica seed essential oil is considered the safest for home use, and has the earthy-herbaceous scent with fruity and spicy top notes. They should be used sparingly as not to overpower the blends. Blends well with coriander, bergamot, cedarwood, frankincense, patchouli, clary sage, vetiver, and citrus oils. Angelica Root Oil Cautions - Both root and seed oil are non-toxic and non-irritant. The root oil is phototoxic, due to high levels of bergapten. Not to be used during pregnancy or by diabetics. Not recommended for unsupervised home use. 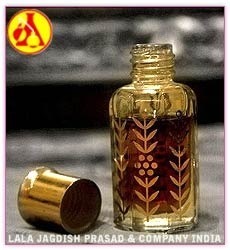 Ambrette Seed Absolute is a great treasure for the aspiring perfumer. It must be used with great discretion as it can easily dominate a composition. 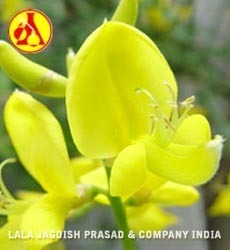 It's common name in India is Musk Dana or Musk Seed as the odor bears some similarity to animal musk. Its overall profile is sweet, rich, floral musk with a distinct wine or brandy like odor. Its tenacity is legendary. Even a small amount can have an exalting effect in a composition, while giving it a unique smoothness, richness, life and rare aromatic texture.Ambrette Seed Absolute is a great treasure for the aspiring perfumer. It must be used with great discretion as it can easily dominate a composition. 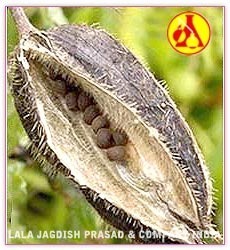 It's common name in India is Musk Dana or Musk Seed as the odor bears some similarity to animal musk. Its overall profile is sweet, rich, floral musk with a distinct wine or brandy like odor. Its tenacity is legendary. Even a small amount can have an exalting effect in a composition, while giving it a unique smoothness, richness, life and rare aromatic texture. We offer 100% pure Agarwood oil distilled from mature Aquilaria Subintrega tree. It is a dark brown oil, rich, thick but non-sticky, sweet smell and long lasting on skin. The essential oil derived from wild Agarwood trees is one of the most expensive natural products in the world. The ability of Agarwood's oil to invoke a deep sense of relaxation makes it extremely useful in any aromatherapy session. Blue Lotus (Nelumbo nucifera) and Blue Lily (Nymphaea spp.) have gained immense popularity in recent years due to it's rich history with the Egyptian people, both for its reportedly intoxicating effects and its use as a enhancer. An assertion by Dr Andrew Sherratt, states that "when the flower was infused with wine, that the chemical content might change and become the ancient Egyptian shamanistic aid." It is now widely believed that the alkaloid nuciferine is responsible for these effects. 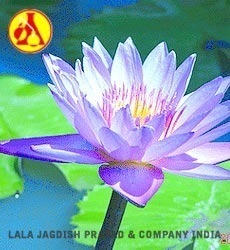 There is much confusion over Blue Lotus and Blue Lily, but we are dear friends with the foremost authority on both Lily's and Lotus', and we present both the information gathered by his years of research, as well as the products he exclusively provides for us.Blue Lotus (Nelumbo nucifera) and Blue Lily (Nymphaea spp.) have gained immense popularity in recent years due to it's rich history with the Egyptian people, both for its reportedly intoxicating effects and its use as a sexual enhancer. An assertion by Dr Andrew Sherratt, states that "when the flower was infused with wine, that the chemical content might change and become the ancient Egyptian shamanistic aid." It is now widely believed that the alkaloid nuciferine is responsible for these effects. There is much confusion over Blue Lotus and Blue Lily, but we are dear friends with the foremost authority on both Lily's and Lotus', and we present both the information gathered by his years of research, as well as the products he exclusively provides for us. Broom/Genet Absolute is extracted from the flowers of the wild shrub, Spartium junceum which grows in Italy, south of France, and Spain. The absolute is a dark brown, semi solid or very viscous liquid, with a deep roseaceous-floral, coumarinic, honey, sweetness. A fine herbaceous, hay-like accord sits beneath the surface and has good tenacity. In perfumery it is used in various floral bases where its rich honey-sweet, floral notes add richness, fullness and body to the composition. Rose bases, tuberose, cassie, mimosa, honeysuckle and violet benefit from its presence. Blends well with flouve eo, hay eo and abs, helichrysum eo and abs, blue chamomile eo and abs, fir balsam absolute, tonka abs, orris root abs and co2 extract, boronia abs.Broom/Genet Absolute is extracted from the flowers of the wild shrub, Spartium junceum which grows in Italy, south of France, and Spain. The absolute is a dark brown, semi solid or very viscous liquid, with a deep roseaceous-floral, coumarinic, honey, sweetness. A fine herbaceous, hay-like accord sits beneath the surface and has good tenacity. In perfumery it is used in various floral bases where its rich honey-sweet, floral notes add richness, fullness and body to the composition. Rose bases, tuberose, cassie, mimosa, honeysuckle and violet benefit from its presence. Blends well with flouve eo, hay eo and abs, helichrysum eo and abs, blue chamomile eo and abs, fir balsam absolute, tonka abs, orris root abs and co2 extract, boronia abs. Calendula Absolute is obtained from the flower heads only using a food grade solvent whereas the commercial oil is obtained from the whole plant, including the seeds. Uses: A soothing oil used in creams, oils, and powders for babies. Skin fresheners, hair preparations, lotions, suntan gels, greasy skin. It is good for psoriasis, itchiness and eczema although this oil is mainly used in the highest quality perfumes.Calendula Absolute is obtained from the flower heads only using a food grade solvent whereas the commercial oil is obtained from the whole plant, including the seeds. Uses: A soothing oil used in creams, oils, and powders for babies. Skin fresheners, hair preparations, lotions, suntan gels, greasy skin. It is good for psoriasis, itchiness and eczema although this oil is mainly used in the highest quality perfumes. 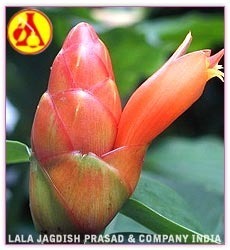 This exotic absolute is derived from the roots of Sassuriea costus plant. The dry tapering dried roots are macerated in warm water then subjected to steam distillation to obtain yellow to brown liquid. Our Costus Root Absolute is commonly used as an incense, and as a fixative and fragrance component in cosmetics and perfumes. 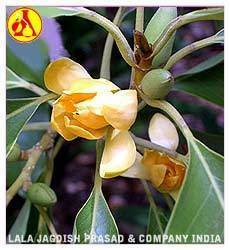 It is also used as flavour ingredient - especially in confectionery, alcoholic and soft drinks.This exotic absolute is derived from the roots of Sassuriea costus plant. The dry tapering dried roots are macerated in warm water then subjected to steam distillation to obtain yellow to brown liquid. Our Costus Root Absolute is commonly used as an incense, and as a fixative and fragrance component in cosmetics and perfumes. 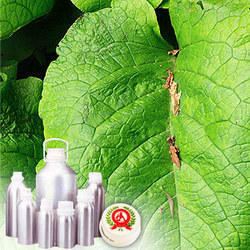 It is also used as flavour ingredient - especially in confectionery, alcoholic and soft drinks. 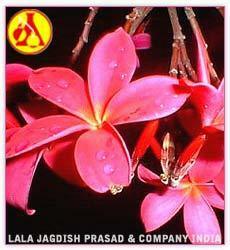 Frangipani absolute has a heavy, sweet, floral-green aroma, with a soft spicy background. The golden yellow liquid is sweet as honey and has longlasting and soothing effect on the skin. Our Frangipani Absolute often used in cosmetics and perfumes because of its anti-inflammatory, antioxidant skin refreshing properties. Gardenia Absolute is an incredibly rare oil to locate nowadays, so little of it is made, often adulterated and most oils labeled as Gardenia are synthetically re-produced. 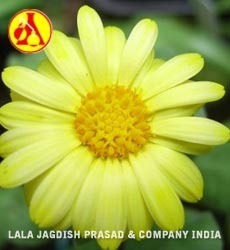 Uses: It has no known aromatherapy benefits and is most often used in perfume manufacture. Geranium is a hairy perennial shrub which grows up to about one meter high (3 feet) with pointed leaves, serrated at the edges and pinkish-white flowers. The leaves are used to produce the concrete, and the oil is obtained through food grade solvent extraction. Uses: Geranium Leaf absolute can be used to help in the treatment of acne, bruises, burns, cuts, dermatitis, eczema, haemorrhoids, lice infestations, as a mosquito repellant, ringworm, ulcers, breast engorgement, oedema, poor circulation, sore throat, tonsillitis, PMS, menopausal problems, stress and neuralgia. It's reputation as an extremely versatile absolute is well documented.Geranium is a hairy perennial shrub which grows up to about one meter high (3 feet) with pointed leaves, serrated at the edges and pinkish-white flowers. The leaves are used to produce the concrete, and the oil is obtained through food grade solvent extraction. Uses: Geranium Leaf absolute can be used to help in the treatment of acne, bruises, burns, cuts, dermatitis, eczema, haemorrhoids, lice infestations, as a mosquito repellant, ringworm, ulcers, breast engorgement, oedema, poor circulation, sore throat, tonsillitis, PMS, menopausal problems, stress and neuralgia. It's reputation as an extremely versatile absolute is well documented.